forever for $5.99! in ebook. NOW in color Print and Black and White! on Amazon. 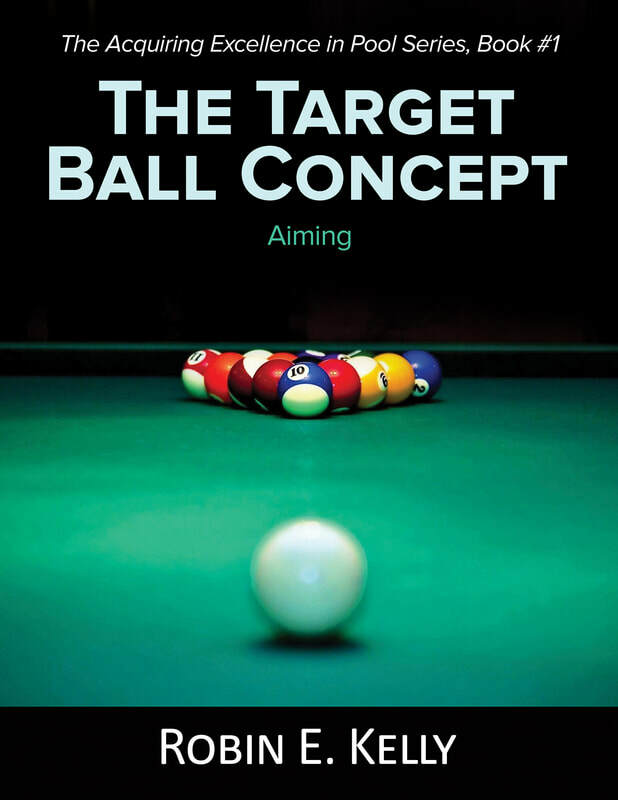 ​ ​ "The Target Ball Concept"
A Shot Making Technique that starts out strong and keeps getting better! Easy to Learn, Easy to use, Deadly Accurate! A perfect way to fine tune your Aiming and Delivery that is the same process on every shot becoming familiar so you are better at it from the start. Easy 3 part visual shot process that is very natural and extremely accurate. Its fast, compatible with other techniques, strong on its own and becomes part of your normal routine. Designed for practical use at the table. My core Perceptions on which this technique is based, assist you in making Center English Shots as well as function for references for Side Spin. No one else has that. My perceptions point to the pocket as it should be. It's as if there were a secret in front of all of us waiting for someone to develop it and I have. Now I'm showing you a different perspective that will help you unlock your true abilities. ​The only Side Spin book of its kind in the world. ​Completely explains an easy solution to apply Spin. You're given a way to classify every shot on the table into a situation that you can identify and master. For $7.99 ebook $12.99 Black &W and $14.99 Color. Robbing the Bank Shot! Teaches Two of hardest to learn Bank Shots in Pool! "I decided to pull this book from Amazon and integrate it into another book more in line with the Series." I instruct in this area and its more in line with the style of banking that I use which is tailored to One Pocket. One Pocket banks are played with Cue Ball Control in mind and aren't all Bank Pool style firm bank shots which this market expected. You can look for another bank book designed around my favorite game, One Pocket. 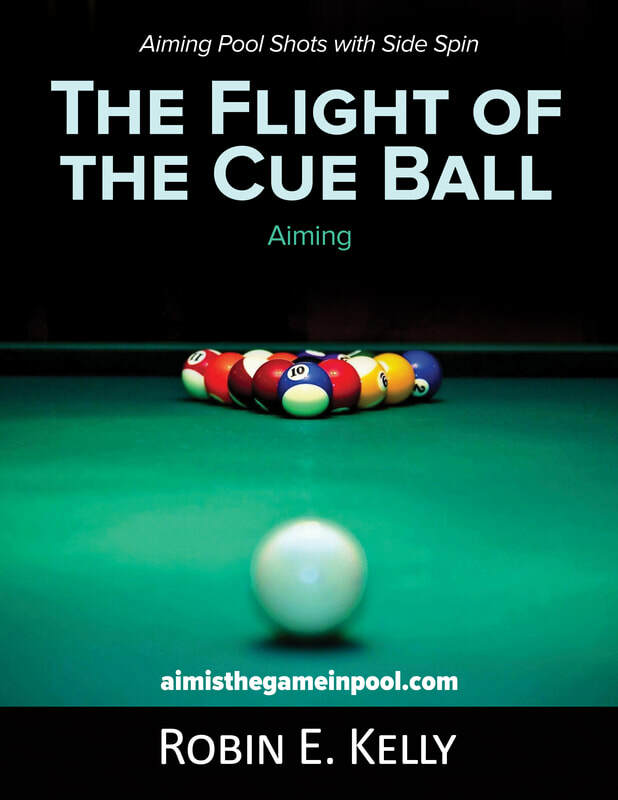 A game in which every aspect of Pool comes into play. Speed Control, Shot making, Safeties, Side Spin, Cue Ball control and Kick into shots and safeties. I give One Pocket Lessons and I'm good at it. The Passover Bank Shot and the Back Cut Bank Shot which are both essential to being able to play One Pocket and to play excellent two way shot safeties. These two specialty shots along with all the other shots on the table can be made with this technique. You will be given a visual geometric bank construction technique to find the center ball point on the rail so that your starting point for every bank shot is the same. All bank shots can be learned from this basis. You have to find the center of the bank as your starting place. Depending on angle dictates how you'll approach making it. Then we teach the decision making process and go into detail about the adjustments that need to be made and why. A lot for your $! It takes time to learn to bank because there are many types of banks. This is advanced material to help those who want to practice to get better. If you have questions about it email me or talk to me on the phone. Only $2.99 on Amazon and other digital booksellers! This guy knows how to do it! My books are in easy to see 8.5 x 11. If you buy my material, I'll give you a 2 hr lesson provided you come to my area. Details on the In Print page.